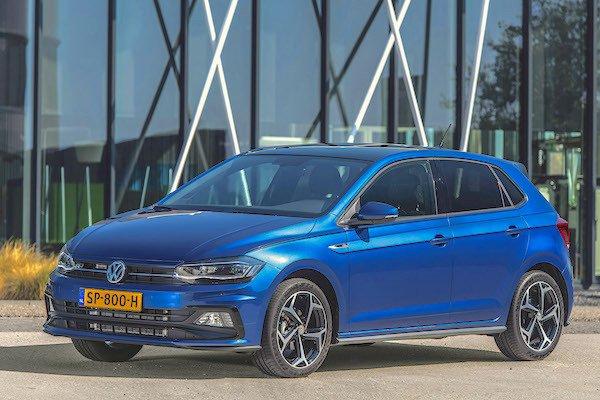 The VW Polo posts its third ever annual win in the Netherlands. Consult over 35 years of Dutch Historical Data here. New car sales in the Netherlands post a second consecutive year of growth in 2018 at a sturdy +7.1% to 443.812 units. Local association BOVAG predicts a similar 440.000 sales for 2019. Volkswagen (+16.9%) lodges a 14th consecutive win in the brands ranking, vastly outpacing the market to hit 11.3% share and distancing Renault (-5.6%), Opel (+4.6%) and Peugeot (+2%) in an unchanged Top 4. Kia (+13.4%) overtakes Ford (+4.1%) and Toyota (-2.5%) to break into the annual Top 5 while Volvo (+14.1%), Skoda (+13%) and BMW (+9.8%) all beat the market in the remainder of the Top 10. Further down, the two best performers are Jaguar (+234.5%) and Tesla (+161.7%) thanks to a last minute rush in December 2018 due to a change in taxation put in place on 1 January 2019 that is less advantageous for luxury EVs: Jaguar then ranked #1 brand with 13.2% share (+4720%) and Tesla #2 with 11.1% (+296%). Lamborghini (+137.5%), Ferrari (+85.2%), Jeep (+49.3%), Mitsubishi (+38.6%), Nissan (+23.2%), Seat (+12.6), Hyundai (+10.4%) and Mini (+10.2%) also stand out. 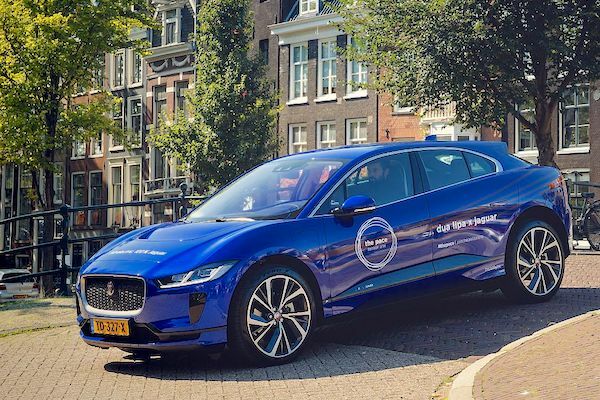 The Jaguar i-Pace was the best-selling vehicle in the Netherlands in December. Over in the models ranking, the new generation lifts VW Polo sales up 68.5% and 7 spots on 2017 to earn the nameplate its third ever annual win in the Netherlands after 2010 and 2011. The Renault Clio (+1.9%) is knocked down to #2 ahead of the Kia Picanto (+14.3%) and Ford Fiesta (+23.9%) both very strong. The Opel Karl (+2.7%) rounds up the Top 5 whereas the VW Up! (-7.6%) and Golf (-3.3%) are kicked out of the podium. Inside the Top 20, the Kia Niro (+28.7%), Peugeot 108 (+24.8%) and Hyundai i10 (+14.7%) also shine but the biggest surprise of the year actually occurred in December when the Jaguar i-Pace topped the sales charts outright with 2.621 registrations and 13.1% share, obviously making the Netherlands the first country to crown the model, and the Tesla Model X ranked #2 with 1.558 sales and 7.8% share due to a change in tax regime (see above). The i-Pace ends the year at #31 and best-selling 2018 launch while the Model X is #48 (+140%). Other spectacular annual results include the Tesla Model S (+174.6%) at #21, the VW T-Roc (+7417.5%) ending its first full year at #31, the Opel Crossland X (+131.7%), Nissan Leaf (+559.3%), Opel Grandland X (+1006.6%) and Suzuki Swift (+109.6%). Finally, notice the arrival of the Audi e-Tron directly at #29 in December. Full Year 2018 Top 45 All-brands and Top 365 All-models vs. Full Year 2017 figures below. Full December 2018 Top 35 All-brands and Top 245 All-models below.